Sell Tickets TickPick has a great variety of St. Johns Red Storm tickets, from the cheap seats, to the first row. Regardless which event you attend, we have a 100% money back guarantee on all of our no fee St. Johns Red Storm tickets. No hidden service fees. Guaranteed lowest prices on the web. 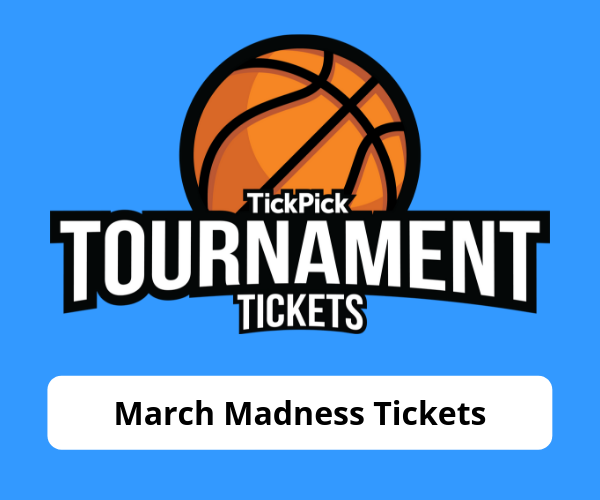 Unlike any other ticket site, TickPick is the only place where you can sort St. Johns Red Storm tickets based on the seat quality. If you are looking for the best seats within a few sections, this feature is tremendously helpful. Use the interactive seating chart to select the sections that you are interested in and then sort by Seat Quality. The relevant listings will be ordered by what are considered the best St. Johns Red Storm tickets. And don't ever worry about overpaying for seats that aren't worth it. The Score Report is still available to help you decide which tickets you should buy. There are a bunch of ways you can get cheap St. Johns Red Storm tickets. First, pay no fees. Other ticket sellers and ticket marketplaces charge anywhere from 10% to 25% in hidden fees. On TickPick the price you see is the price you pay, so if you a're comparing prices, always make sure to compare the final price on the checkout page. Second, if ticket prices are still not to your satisfaction, try bidding on St. Johns Red Storm tickets. Go to the tickets page for the event you want to go to and click "Bid" in the upper left hand corner. From there, you can tell sellers what you want to pay for tickets and let them scramble to meet your price rather than the other way around. Looking for a discount on our already no fee St. Johns Red Storm tickets? New users can sign up here for a $10 discount on St. Johns Red Storm tickets. All St. Johns Red Storm Tickets purchased through TickPick are 100% guaranteed through our Buyer Trust Guarantee. We guarantee that your tickets are authentic and that you will receive your tickets on time. If you ever have any issues with tickets purchased through our site, we will work to replace them with tickets of equal or greater value. Furthermore, if the event is cancelled and not rescheduled, we will refund your purchase. Don't believe us? See what our customers have to say.